Two years had passed since we first talked with Kan Wakan about the things in his life. Back in the days he was just coming from Los Angeles for his first concert in Sofia, and his triple album Phantasmagoria was a distant project that we hoped to hear live here. Well, now this is not only happening, but listen how: the premiere of the Vol.1 of his future musical trilogy grew into a mini-festival that on 15th September gathers in Maimunarnika our artists Ivo Dimchev, Les Animaux Sauvages and Dead Man 's Hat along with Jordan Cosby from London, the Canadian musician Alexander Vincent and Rachel Fannon from L.A. The best way to welcome them? 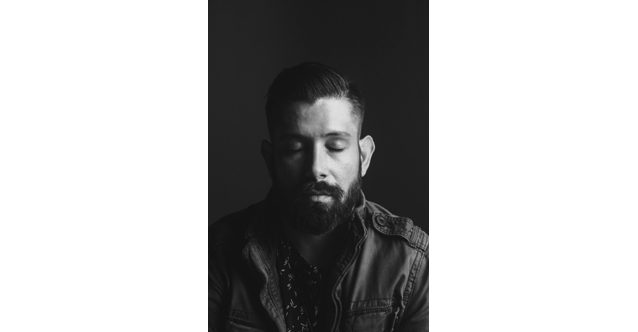 Just hear this playlist of emotions and songs arranged by Kan Wakan, who tells a long and deep stories about why he chose this alternative company. George Cosby has a voice that can soar through registers, but it's also a voice that can hit home with the simplest, most deft of touches. It’s rousing and emotionally engrossing, it's a stirring, broad, and fearlessly ambitious. I first met George early last year, we were introduced by a mutual friend and scheduled a session for a collaboration for Phantasmagoria. He flew over from London and I remember he was very shy, anxious and quiet. When I first heard him sing in person I couldn’t believe that the voice I was hearing came out of him. He evokes emotions at a whim and the desperation he conveys with lines like "I needed you… tell me you needed me too", when delivered with his poised gutsy vocal is palpable, but it is the risk in doing it that makes me believe it.. not many artists can sing about love in such a way and get away with it. There is a historical stigmatization of men who openly express their feelings in a song. Alex’s music is an example of someone who is effectively able to express male vulnerability and emotional complexity with subtle restraint, airy lightness and the feeling of letting go. I Won’t is the first and only song Alex has released with this project, and I just love this live arrangement. I first met Alex as the drummer of the band Magic! who had a massive international hit with the song Rude. Alex played drums on some of my music, and in that process he shared some solo music he had been working on in between tours. He felt boxed in and creatively stifled as a musician and like he wasn’t able to truly express himself in the band, so he needed another outlet and thus, the solo project was born. I heard alot of potential in his music and his voice and wanted to help him develop the project however I could, so here we are. I’m very excited for what’s to come. Most artists I’ve collaborated with exude an air of openness/sensitivity on one side and a boldness/fearlessness on the other, almost in a Jekyll and Hyde kind of way. This interpersonal contradiction often drives us to redistribute emotional energy from one side of ourselves to the other, and to be able to share that experience with others in the moment helps to create a special kind of bond that fuels creativity and understanding. I feel like Rachel and I share this kind of bond on the song I Had To Laugh which we wrote when we first collaborate in LA in 2016. She came into the studio and asked me what I was thinking about as I played some piano ideas. She then took my words, and started singing a melody over the chords, and 20 minutes later we had a song. As a music listener, she is one of my favorite vocalists of all time, and it’s an incredible honor to welcome her to Sofia for her first solo appearance in Bulgaria. Dead Man’s Hat feels to me like a band on the brink of realizing their potential and I’m very grateful to have been introduced to their music recently. Raja’s velvety voice cultivates a powerful stillness that makes time feel like it slows and sweeps you in an undercurrent of powerful emotions. On the live version of Turn Around she flirts with stoicism contradicted by nostalgic love and the occasional point of numbness, amplified by the hushed restraint of her performance. Les Animaux Sauvages hail from Sofia, but the euphoric danceability and bipolar mood swings of their music were also partly formed in Paris, London and Berlin. The song Je Te Salue is essentially a Bulgarian interpretation of what it would be like to recklessly speed on the autobahn in a vintage Peugeot, while under the influence of some type of amphetamine. I absolutely love this song. I love how the music is steady and meditative, and puts you in this sort of trance that can be stimulating, but yet subdued, depending on your state of mind. I cant wait to see these guys live. Ivo is known internationally for his provocative and often controversial works of performance art. His work is an extreme and colorful mixture of performance art, dance, theatre, music, drawings, and photography. It was a great honor for me to produce his latest album Sculptures in LA and I wanted to highlight the song Traveling Light as a personal favorite. Much like his performance art, his voice can be a tool for provocation, constantly riding the line between beauty and calculated obscenity. It’s as if he strives to offend the parts of our brains that are used to any type of social norm, and he uses his angelic voice as a trojan horse for delivery of a message that we may not want, but one that we ultimately need to. The end result is innovative, uncompromised art, which I believe we need alot more of in Bulgaria. This is why I feel like Ivo is an inspiration and a necessity, and someone that I’m proud to present at this year’s debut edition of Outlier. For me, creating music is a meditation on time and emotion. Yet, sometimes it feels as though collectively and individually we are influenced by an institutionalized drive to create commodities out of music; instead of composing something which churns the listeners on it’s own conceptions, music is often held to an expectation that it proposes literal commentary, materializing our feelings into tangible produce, objectifying the very moment’s that inspired us to create in the first place. The song Unlucky to me was an effort to meditate on time and emotion after a few consecutive years of dealing with the loss of family. I wanted to write something retrospective about the way I was feeling, but in a way that didn’t objectify those feelings and cheapen them.